"The perfectly organized, custom made trip in Argentina"
Our 21 day trip across North and Central Argentina is one of the best individual trips in South America. We have made this trip several times ourselves and every time we fell in love with the surprisingly indigenous face of Argentina. 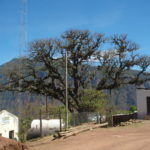 Together with our English speaking private guide, a real “salteño”, we have created an exclusive excursion of several days into the amazing Valle Calchaquíes in the South of the Salta province. You will be enjoying the magnificent (indigenous) culture and nature of this unique region of Argentina.